A Webster plumbing and heating contractor, Daniel Watterson, was found guilty of child endangerment as well as illegal asbestos removal and disposal after a five day trial in Worcester Superior Court. He was found guilty of three violations of the Massachusetts Clean Air Act, and one count of child endangerment. The case stemmed from a residential boiler job in which Watterson was contracted to remove two old boilers and install two new ones in a residence in Worcester. The original indictment charged Watterson with hiring two teens to remove & dispose of the asbestos-containing material on the old boilers. He was convicted of endangering one minor. Watterson was earlier convicted for larceny of more than $250 from victims older than 60 years and larceny of more than $250 by false pretenses in a bench trial. He will be sentenced on all convictions on July 3rd in Worcester Superior Court. The Commonwealth of Massachusetts encourages members of the public who have information regarding a potential environmental crime to contact the MassDEP Environmental Strike Force Hotline at 1-888-VIOLATE (846-5283) or the Attorney General’s Office at 617-727-2200. A person exposed to asbestos does not immediately or even in the near future contract an asbestos-related disease. The time period between exposure to asbestos and the later development of disease is referred to as the latency period. All of the asbestos-related diseases including mesothelioma, asbestosis, and cancer, have long latency periods. In the case of mesothelioma, the latency period can be upwards of 39 or more years. Unfortunately, once embedded in lung tissue, asbestos cannot be exhaled or released. 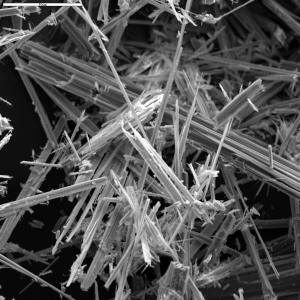 Since asbestos is a carcinogen, even a brief exposure to asbestos is capable of causing disease. If you have been diagnosed with an asbestos-related disease like mesothelioma or asbestosis, call our Massachusetts asbestos attorneys at 888-632-0108 for a free, confidential consultation, or tell us your story online. Like all legal claims, asbestos claims must be filed within rigid time limits; do not delay if you believe you have a claim.